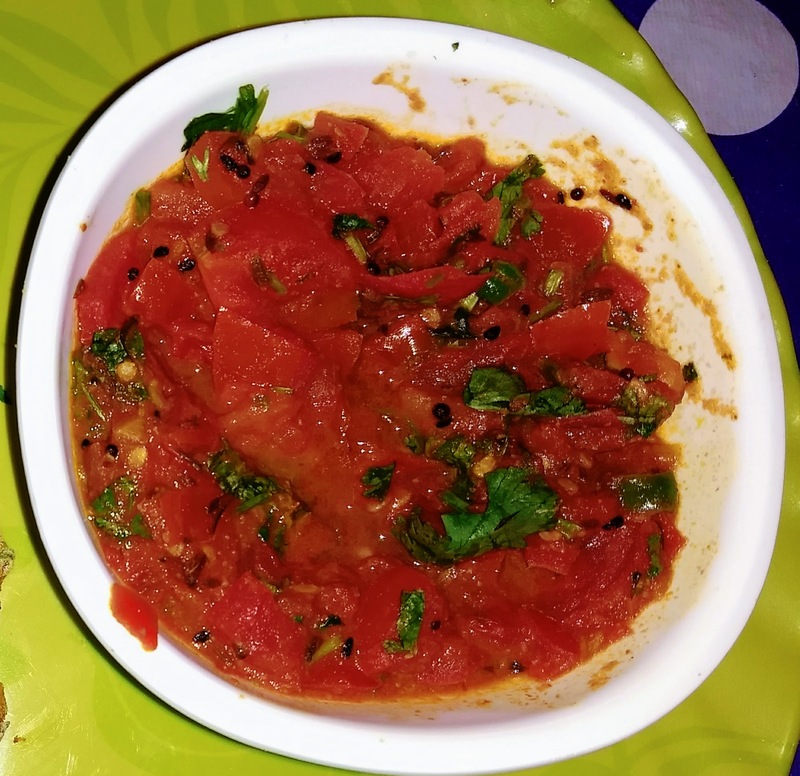 This food blog has A to Z information about Indian food like simple and healthy recipes, seasonal foods, dry cakes, chocolates, north Indian food, south Indian food, states foods. Wash and finely chopped tomatoes. Heat the oil in a pan and add the mustard seeds,cumin seeds,kalonji,saunf and hing and saute until aroma come out. Add the tomatoes and red chili powder or dry red chili or green chili, mix well and cook on a medium flame for 2 to 3 minutes. Add the dhania powder,salt and 1/4 cup of water and mix well. Add jaggery or sugar and mix well and cook for another 2 minutes. Switch off the flame and add fresh coriander leaves. You can serve tamatar ki chutney with any paratha of your choice. Shilpi Kitchen . Theme images by linearcurves. Powered by Blogger.